Happy Birthday, Claudia S. Nelson!! 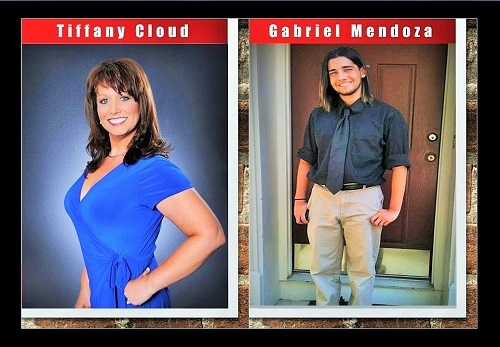 It's Tiffany & Gabriel with the Claudia S. Nelson Real Estate Team. It's October 22, also known as, the birthday to the amazing Claudia S. Nelson. Please join us in wishing CLAUDIA, A HAPPY BIRTHDAY! Birthday's are a day to honor special people in our lives. 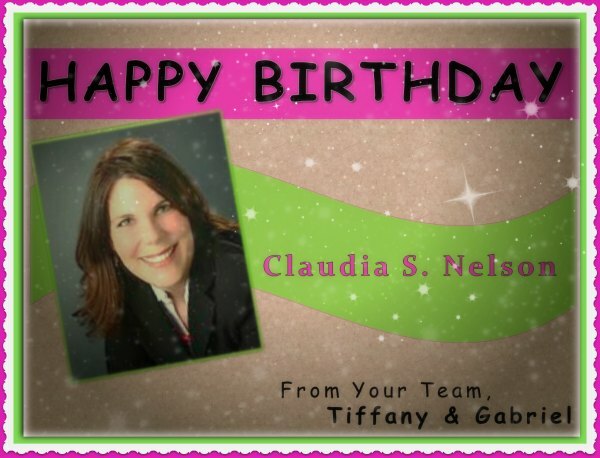 We thought it would be fun to honor Claudia on her birthday by telling you why we think CLAUDIA IS THE BEST REALTOR in Woodbridge and Our Theory On Her KEY TO SUCCESS. 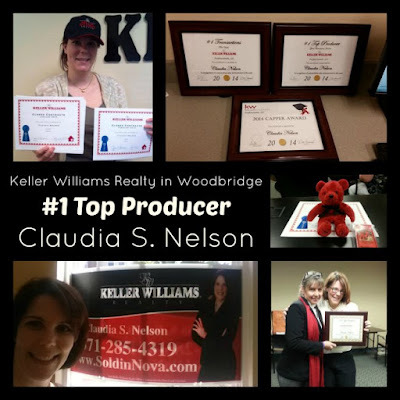 It is a fact that Claudia S. Nelson is the the #1, Top Producing Agent with Keller Williams Realty in Woodbridge. But, as the team members of Claudia's we have a theory as to why we think she is so successful and in our opinion her Key To Success! Let's start off by telling you what a staff meeting is like with Claudia. We typically meet at Claudia's house in Dale City about once a month. It is always a surprise who will be sitting in on the meeting with us until we arrive. You see, Claudia is an absolute ANIMAL LOVER! She is constantly fostering pets for people. She is a huge supporter to local organizations like Animal Allies and Prince William SPCA but most often she is watching a friend of a friend's pet for months at a time. Our sales meeting always starts off with an introduction to her newest (animal) roommate. Then, through out the meeting all of us are loving on the new baby whether we are sitting on the floor or holding them in our laps. It's pretty awesome to have a boss that loves animals as much as we do! Claudia's unconditional love for animals speaks volumes about her character. The kindness and compassion she displays by taking care of other people's animals mirrors the reviews I hear from clients that recommend her services. We truly believe that Claudia S. Nelson is the #1 Top Producing Real Estate Agent with Keller Williams Realty in Woodbridge because people can sense her sincerity and commitment in all she does. This is best measured by all she does for the animals that can never repay her. It is our opinion, Claudia S. Nelson's Key To Success is that she is a genuinely caring person! Immanual Kent was right about judging the heart of a person on how they treat animals. 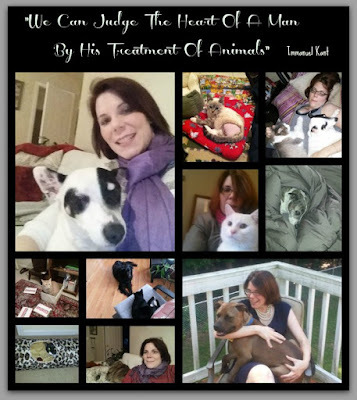 Gabriel, myself and 100's of animals can tell you, Claudia S. Nelson, is a kindhearted soul! 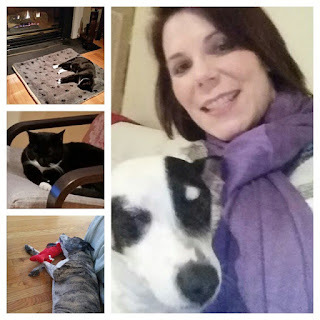 If you live in Woodbridge, Virginia and looking for a dog-friendly Realtor or Cat Loving Real Estate Agent. . . I Know The Perfect Realtor!